The 2017 Limited Edition guitars are here, with new sounds, new looks, and even a retro take on a Taylor standard. 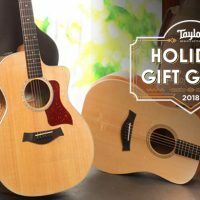 This season’s collection includes the return of cocobolo in the 900 Series, a unique combination of walnut and torrefied spruce, koa 12-frets, a richly voiced baritone, and a trio of T5z electrics. 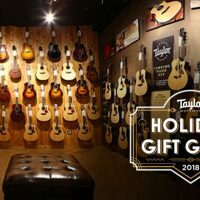 Since these are limited edition guitars, check with your preferred Taylor dealer to see which models are available. On the heels of last year’s Grand Concert koa limited edition models, we decided to up the ante this year and bring that vibrant aesthetic to the Grand Auditorium shape. This pair of all-koa guitars includes one standard neck and one 12-fret configuration. The latter boasts a punchy, focused midrange attack thanks to a shifted bridge, but both guitars will project a bright, clear tone that allows the player to shine through. The slightly larger Grand Auditorium body also boosts low-end frequencies, which helps provide a broader range in these instruments. And since koa tends to open up with age, you’ll find that these guitars sound even better as they’re played in. Of course, we rarely make koa guitars that aren’t gorgeous to look at. The rule still applies here, as we’ve appointed both limited edition koa models with our Ocean Vine fretboard inlay (made from koa and boxwood) as well as a lovely shaded edgeburst that gives these guitars a vintage charm. We love cocobolo as a premium tonewood, but we haven’t featured it in a few years in a limited edition. Sourced from Costa Rica and appointed with 900 Series features, the cocobolo/spruce Grand Auditorium body of the 914ce LTD boasts a powerful, dynamically layered voice that we’ve shaped with the help of our Performance bracing. Andy Powers, our master guitar builder, explains that “cocobolo has a different weight, density, and sonic flavor than East Indian rosewood,” which would normally appear on 900 Series guitars with Advanced Performance bracing. 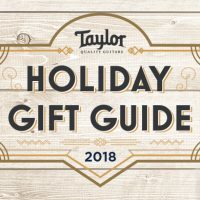 “If we used Advanced Performance bracing, there would be a little too much movement going on, and the guitar’s voice would be out of control,” Andy explains, adding that the naturally warm sound of the Performance bracing pattern balances the bright attack of cocobolo and Sitka spruce for a nuanced, harmonic sound. For aesthetic appointments, we’ve outfitted the 914ce LTD with a beveled ebony armrest for a smooth playing feel, as well as a dark autumnal edgeburst finish that provides a striking contrast next to koa purfling and paua trim. This guitar also ships with ES2 electronics for faithful, dynamic plugged-in tone. This season, we looked to our 700 Series for inspiration and decided it was time to bring one of our favorite features to some new styles. 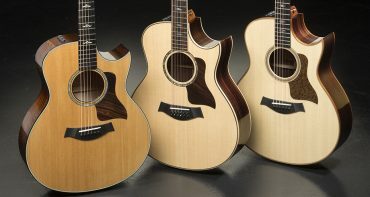 The 12-fret design, which we’ve incorporated into many Grand Concert guitars but few Grand Auditorium models, creates a uniquely smooth handfeel, with a relaxed, slinky response that makes difficult chords that much easier to hold. 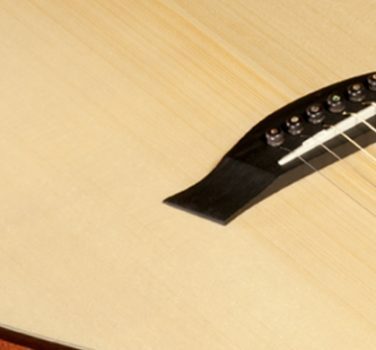 In the 712ce LTD, the 12-fret neck comes with a bridge that has been shifted toward the lower bout, providing additional low-end punch to round out the small body’s articulation and treble chime. For the 714ce LTD, these alterations lend power to the low and midrange frequencies. For these guitars, we selected a cedar top because of its natural responsiveness and warmth, which blend nicely with the overall brightness and shimmer provided by the solid koa body. Though the 714ce and 712ce will respond with a sweet, open tone right out of the box, the grain structure of koa actually contributes to a unique aging process that adds depth to the guitar’s sound as the wood ages. We’ve equipped these limited 700 Series models with an edgeburst finish, green abalone fretboard inlays and rosette, and a slotted headstock (712ce LTD only). Torrefaction is a process we don’t often incorporate into our guitars outside of our 600 Series maple guitars, but we felt it would pair really well with walnut on this 514ce LTD. 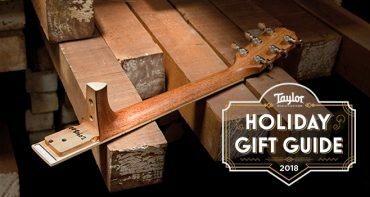 In short, torrefaction expedites the aging process in wood, helping to make the spruce top more responsive. Combined with solid walnut, the 514ce LTD promises a warm, sweet tone with some of mahogany’s natural dryness. Walnut, like spruce and koa, ages wonderfully, opening up with greater depth and articulation that make this guitar very reflective of the player. Specialty guitars like baritones don’t appear in our standard line, so when we get the chance to build them as limited editions, we like to take the opportunity and run. In this case, we went with a combination of sapele back and sides with a mahogany top, a tonewood pairing that amplifies the natural warmth and low-end rumble of the baritone scale. 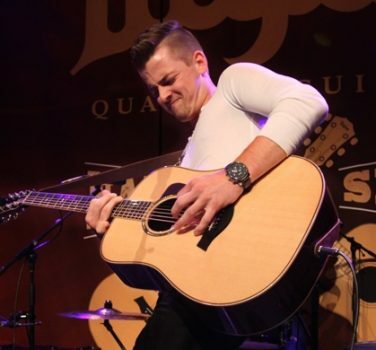 Selecting woods for baritone guitars can be tough—the low frequency range of the instrument naturally allows for a more overtones that are audible to the human ear, so the wrong woods can produce a guitar that sounds a bit messy. That’s why we went with mahogany and sapele; their dry sound naturally compresses and limits those overtones, creating a more focused sound that allows players to be fully expressive on the instrument. In addition, we’ve decided to add a splash of harmonic brightness to this limited 326e with a pair of extra octave strings on the 3rd and 4th strings. The result is a guitar that stands on its own as a performance instrument but also pairs beautifully with other guitars. 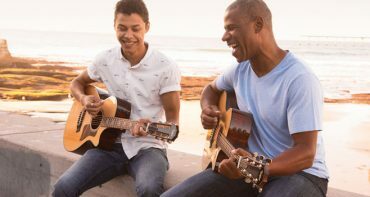 Players can use a 12-string capo on the fifth fret to put this baritone into standard tuning, so it’s surprisingly flexible for a low-register instrument. We’ve applied a vintage edgeburst finish for a dark, understated look to complement the dark color of the mahogany top. 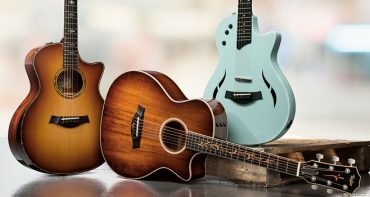 We’ve always been proud of our T5z electric-acoustic hybrid series, but these limited edition models are especially pleasing. Inspired by an appreciation of hot rod cars from the ’50s and ’60s, we’re offering these T5z guitars in three eclectic colors: Fiesta Red, Sonic Blue, and Arctic White. 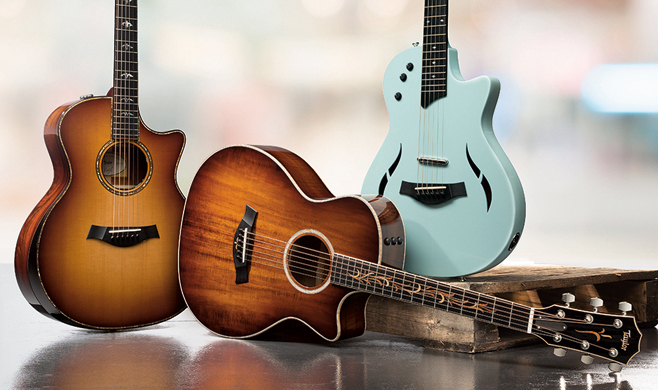 With unbound F-holes and an all-gloss finish, these guitars look as good as they sound. 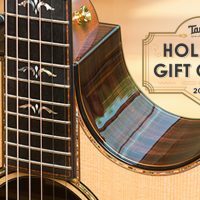 The T5z Classic Deluxe LTD is loaded with some of our most innovative designs, including our proprietary three-pickup design that includes a visible bridge humbucker, hidden neck humbucker, and an acoustic body sensor for an unmatched range of tones. 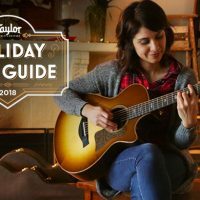 With five-way switching, players will find plenty of amplified acoustic-flavored sounds to fill that part of the spectrum as well as electric sounds that you just can’t get out of any other guitar. To cap off our run of limited guitars for fall 2017, we decided to add to the legacy of our Presentation series with a singular set of tonewoods and appointments. This 12-fret Grand Auditorium features a top made from sinker redwood, an old-growth supply sawn from logs reclaimed in California riverbeds. 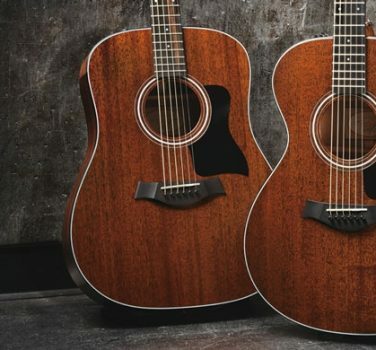 The redwood top produces a warm sound akin to cedar with some of spruce’s clarity and attack, while the ebony back and sides project a direct, transparent tone with some of rosewood’s balanced fidelity. 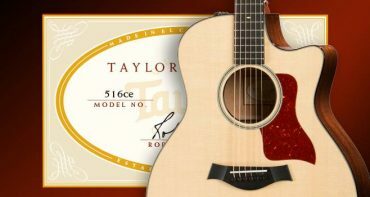 The 12-fret configuration adds another tonal nuance, with a shifted bridge position that allows the redwood top to respond better to the player’s touch. Aesthetically, we’ve appointed the PS14ce 12-Fret LTD with details that highlight and complement the natural striping and variegation of this guitar’s tonewoods. A beveled armrest adds an inviting sleekness to the lower bout, while abalone purfling and inlays on the bridge and fretboard set of the guitar’s striking lines. This limited edition Presentation guitar is outfitted with ES2 electronics and a Venetian cutaway.